Trinity Lutheran Church – the welcome place. Members of Trinity Lutheran Church are freed by the Gospel to seek reconciliation and wholeness in a world that is frequently an unloving place. We extend welcome to ALL, including people of all gender identities and sexual orientations, whether believer, doubter, or seeker. In Christ's love we invite you, so that led by the power of the Holy Spirit we will join together to strive for justice, peace and love in all the earth. We invite you to join us for worship on Saturday evening or Sunday morning where we are developing disciples and connecting to Christ. 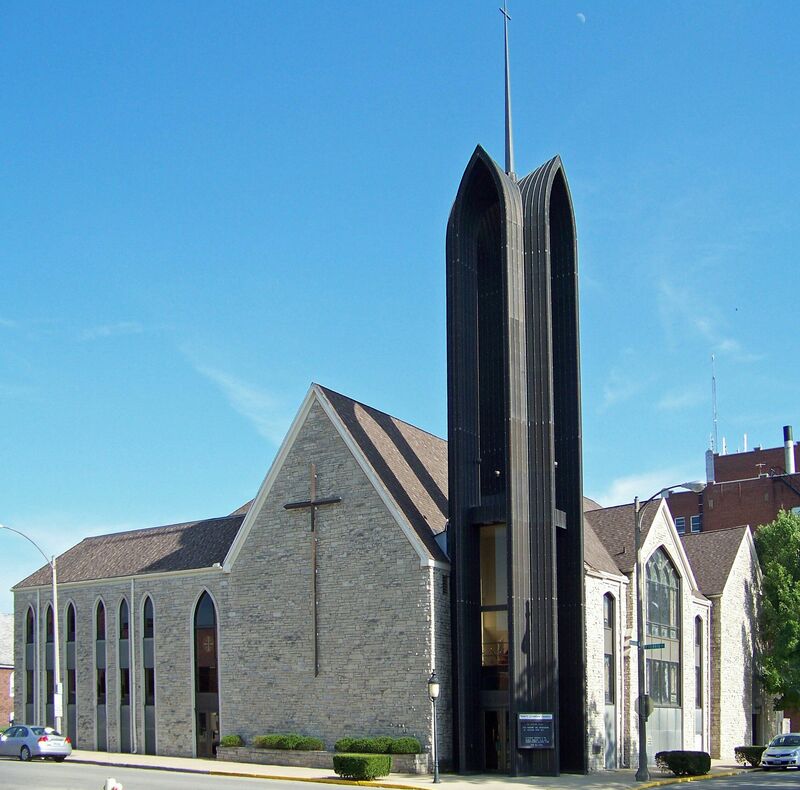 The entrance for worship is through the tower doors on the corner of Ferris and Kellogg Streets. These doors also lead to our elevator. Trinity's Sunday morning services are broadcast on WRAM. Please tune to 1330 AM for our Sunday morning service if you are unable to join us in person. During weekday office hours, please use the Kellogg Street door. We are located at 304 East Ferris Street in downtown Galesburg, Illinois. If you have need of the elevator during office hours, please go to the tower doors and use the call button for entry. Trinity members can now make their contributions by checking and savings accounts. Click the button below to set up payment options. © 2019 Trinity Lutheran Church – the welcome place..